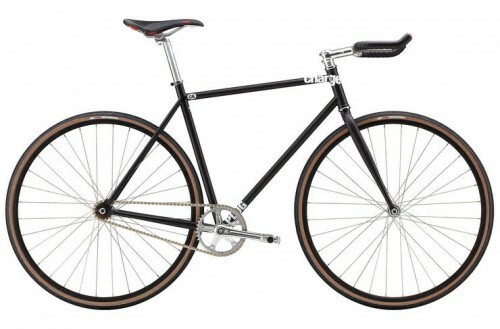 At £329, it is quite a cheap introduction to single speed bikes. For simplicity and value, the Charge 0 is a reasonable start. The Charge Plug – comes with bullhorn bars, these are a little more aerodynamic and help enable a stronger push when pedalling the single speed off from a standing start. They also help the bike stand out from the pack. However, many novices to cycling will find it easier to use horizontal bars. In many ways the flagship model, this comes with a Cro-molo (mainly steel frame) which offers greater strength than just a pure Steel premium frame. FRAME/ Cro-mo. FORK/ Charge Whisk, steel. CRANKSET/ Shield track, single ring 42t. TYRES/ Charge Coaster, 32c tyres. PEDALS/ Wellgo alloy trekking. CASSETTE/ DNP 16t FW / 16t fixed cog. The frame and fork is a cro-molo (mainly steel) Tange Plain Gauge. The gearing is by default a 42 tooth chainring by 16 rear cog – nough to get up all but the steepest hills. The bike comes with Charge Coaster, 32c tyre. Upgrading to any of a wide range of better commuting tyres, will help offer better puncture protection and also a better quality ride. Personally, I like to put something like Armadillos tyres on commuting bikes. They are very strong, resistant and great at resisting punctures. A quick test ride of the charge plug was enjoyable. It’s very different riding a single speed to a normal road commuting bike. 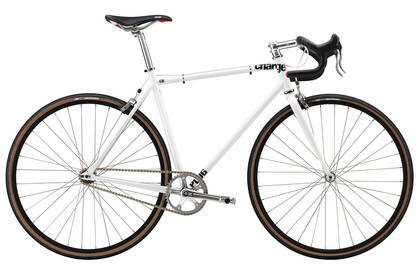 Of course, lower end road bikes are cheaper than these single speed. 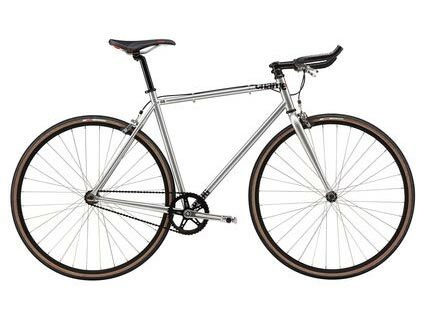 But, at around £400, the charge road bikes offer a good value single speed, which is both good looking and solid components. Given that one of the main attractions of these single speed bikes is the aesthetics, it would be worth charge considering offering custom paint colours. There is a reasonable choice between different versions. But, clearly choice of handlebars and colour are two big factors for people choosing between single speeds. When buying a single speed like the charge plug, you have to bear in mind, there are no mudguard, pannier eyes. It is good for sleek looks, but, not so practical if you want to be carrying more than in a messengers bag. If you prefer horizontal bars, try the Charge Sink.